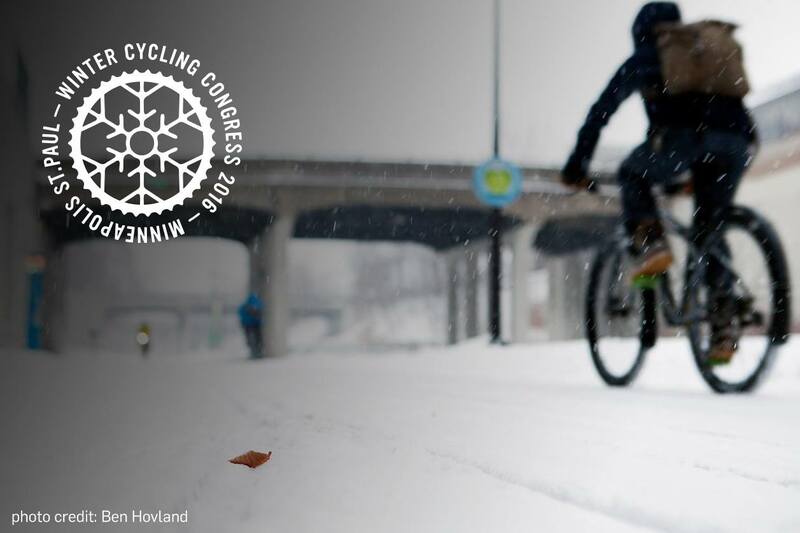 The Winter Cycling Congress will be held 2-4 February, 2016 in Minneapolis and Saint Paul, Minnesota. This is a three-day professional development event uniting a diverse and international group of people with a shared vision of increasing bicycling and walking among people of all ages and abilities through the winter. Why not? 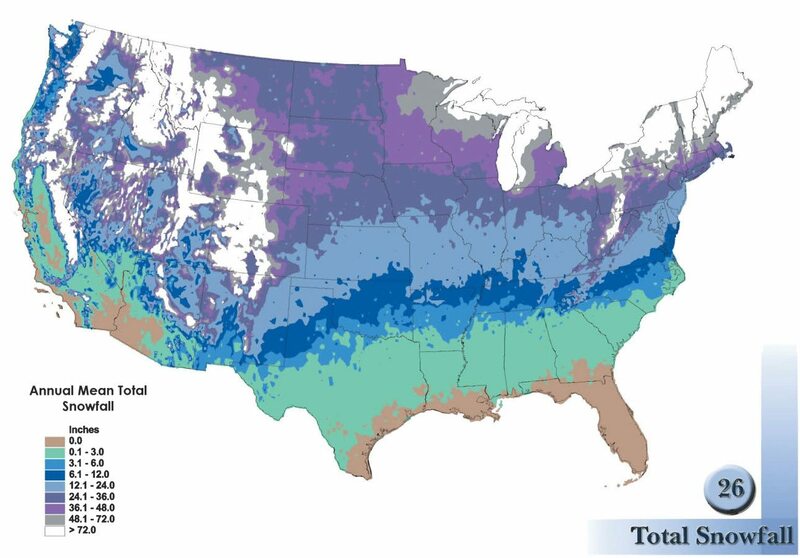 A huge proportion of the US (and Canada) have serious winter weather conditions. Improving facilities and changing expectations can make winter cycling an option for people to get around, year round in cities, small towns and rural areas. Imagine if commuter trains ran 8-9 months a year, or if bus lines were shut down because of a few inches of snow on the roads. What if Zipcar or Uber weren’t available when the temps drop below freezing? Imagine not driving to work in winter because streets weren’t lit for the evening commute home? This would be ridiculous, of course! That’s why it’s critical we collectively plan for and maintain good bikeways in the winter, and encourage folks to ride even when its cold, snowy or dark. Cities and towns that enable year-round bicycling help promote the activity as a safe and reliable form of transportation. A number of Alta planners and designers are attending the Congress to share knowledge related to the conference’s three main tracks: “Build It”, “Maintain It”, and “Bike It”. Some of our breakout sessions throughout #WCC16 will include designing protected intersections for year-round cycling, winter bike share operations, using bikes as a disaster relief tool, and winter bike lane maintenance. Interested in learning more? Say, “Hi” to our delegates throughout the conference. How can children be enabled as winter cyclists? Learn how winter was actually an ally in Safe Routes to School planning in Minnesota. Kids in the Netherlands bike year-round. Learn how this is made possible and what role parents play. Finally, learn about a program developed in Winnipeg for seeding bike repair and riding programs in schools and communities. Bikeways succeed or fail based on the comfort and safety of their intersections. Learn about intersection safety concerns, conventional treatments to mitigate risk, and the latest from on-the-ground installations of protected intersections. With simple geometric and operational adjustments, designers can raise the bar for designing safer and more accessible streets. The goals of the session are to share insights and lessons learned related to both operating a bike share system during winter months (Chicago, Cambridge, NYC), and the challenges that preclude other system from year-round operations (Minneapolis, Boston). Phil Goff and Tony Desnick will tackle the questions of what works and what doesn’t. Bicycles can perform emergency communication, transportation and evacuation effectively in winter. This session hosts emergency management experts and bike advocates who will discuss disaster relief preparedness and illustrate the role cyclists can play in the delivery of emergency services. Participating panelists are from Seattle, Minneapolis, Boston and North Dakota State University. Winter cycling in resort communities isn’t only for sport. Parking and congestion are often exasperated in resort communities when the snow falls and the visitors and seasonal workers arrive, while trip distances are often short though lacking good wayfinding and pedestrian connectivity. This panel will feature mobility leaders from resort communities that have become bike-friendly by accident and by initiative. Gain a better understanding of the weather variables that really influence cycling habits as well as policies for planning around the weather. Learn about how new cycling facilities are being maintained in Chicago during the winter and the way good management and communication result in high-quality winter maintenance in Nordic countries. We are familiar with the initiatives in big cities. What happens to support active communities in small towns and rural regions? This session will share three examples that support how to build it and bike it. You will hear about an innovative approach to SRTS in Iowa, a self-organized walking school bus program in Minnesota, and new design guide for rural and small towns. Grab your bike and join the delegates of the Winter Cycling Congress for a 5-mile joyride along the Mississippi. Participants are encouraged to decorate their bikes with lights!